If you’re serious about achieving online business success your first actions will be to build the foundation. That foundation will consist of seven support pads that “bear the weight” of your business as it grows into a successful enterprise. 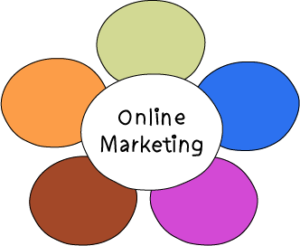 The first activity for the budding netpreneur is to figure out what marketing area (or niche) he’ll do business in. Among your choices for niche areas to market are manufacturing, service offerings, providing information, and business consulting – to name only a few of the top level niches available to you. And within in each top-level niche is level after level of sub-niches for your consideration. Identifying your niche, and drilling down to the sub-niche that your business will specialize in will be one of the more time-consuming activities of your foundation building process. There’s no reason to seek online business success other than to make a living, and to pursue a business career on the internet you must have some type of product to sell. Here again is large potential. Your product can be in the physical, digital, service, or business opportunity areas. Your product will be an affiliate type or one of your own. Affiliate products are those created by someone else who pays you a commission for marketing and selling those products. Your own products are those you create yourself or products that you buy the marketing rights to. Physical product consists of items such as toys, luggage, kitchen appliances and utensils, gardening supplies, etc. Digital product includes software programs, books, training courses, videos, audio programs, and can contain business how-tos. Services you might offer are lawn care, pool maintenance, beautician, barber or hair stylist, business consultation, and teacher. Business opportunity options are blueprints for building a specific type of business, manuals that teach an overall how to build a successful online business, websites that offer the “done-for-you” business solution, and funnels that provide the netpreneur with a step-by-step process for building online business success. Who are your customers and where do they hang out? Until you know those answers your business will achieve nothing. You can be an expert in the niche of your choice and fill your arsenal full of products to sell. But if you don’t know where you’ll sell those products, or who you’ll sell those products to, your business is doomed to fail. Do you know how to write copy? Do you know what I even mean when I mention the word copy? Copywriting is the art of educating potential customers about what your product will do for them – how it will help them in some important way – and why your business is the only place they should buy that product. This art is a career path all its own and it’s important that you at least learn the fundamentals of how to write copy so you have an idea of how and why it works. It should not be confused with the term copyright, which protects your creations from being mimicked by other people. Every product has its own set of features. That sports car is red. It has fat, road-hugging tires. It has a big block engine and a dashboard that monitors RPMs and speed. It has leather seats that fit and comfort your body. But copywriters don’t talk about features beyond a quick mention. They concentrate on benefits. This sports car will draw everyone’s eyes to you. It’s so flashy that the girls will flock around you – wanting to take a spin in your hot ride. People will look at you as somebody who is successful and adventurous. Features are things that people only see. Benefits are things that people FEEL! The copywritten piece is the marketing message. It’s the sales letter for your product. A good copywritten marketing message will help customers make the buying decision that your business depends on. Traffic is the term we give to the visitors that come to see your marketing message. That message may be on a website, in a magazine, in a newspaper, or in an email. You can’t sell your product if you don’t have visitors to your marketing message. Generating traffic is how we get those visitors. Posting and commenting on niche related blog sites. Posting and commenting on niche related forums. As I said, there are many more methods for this. But you do need to learn a few of them so you can get visitors to your message. To protect yourself from confusion I advise you to select one traffic generation technique, learn it well, and then add another method. Continue that process until you have 4 to 6 techniques that work for you. Once you find a reliable product that’s selling successfully it’s time to expand your product line. Look for other product types that complement the existing one and add it to your catalog. Continue adding products so that you have a full array to market to your customers. That way you can keep your sales and your income growing. To make your business secure you need multiple streams of income. Sometimes product sources disappear without warning. Sometimes certain products lose popularity. If your online business success depends on products that you suddenly can’t stock or that you all of a sudden don’t have customers for, your career is gone. After you get your niche market set up and operating smoothly look for a related niche and start laying a new foundation. By adding additional niche markets you ramp up your business growth and prevent catastrophic failure in the event of revenues from a product suddenly disappearing. It’s insurance for your business survival. When you begin your business make sure you prepare the foundation using these 7 pads to support the weight of your business structure. 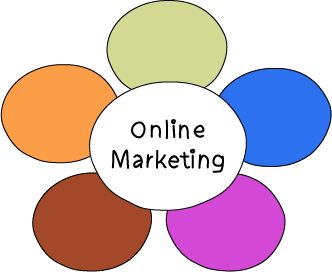 Doing so will increase your chances at achieving online business success with your venture.